Been diving in Malapascua? Please Vote! Malapascua is a tiny piece of unspoilt paradise located in the Philippines and is the ideal location for sun, sea and relaxation, and of course scuba diving. The island is situated roughly 7 kilometres from the northernmost tip of Cebu Island in the Visayan Sea and forms part of the Visayas island group. Stretching only 1 kilometre by 2.5 kilometres, this tiny and remote island is famous for its fantastic scuba diving opportunities as well as Bounty Beach, a superb white sandy beach perfect for sunbathing. When it comes to scuba diving, Malapascua is most well-known for its regular sightings of thresher sharks, which are not often seen in many other parts of the world and are nocturnal in nature, making them even rarer. Malapascua also boasts colourful coral gardens and coral walls. Although it is predominantly known for its daily thresher shark sightings, Malapascua also offers sightings of manta rays, pygmy seahorses and other fantastic marine species at over 20 dive sites. All dive sites are just a short boat ride away and easily accessible for all diving qualifications. With colourful coral gardens and coral walls making up a stunning underwater landscape just as beautiful as above the water’s surface, Malapascua is a diving haven certainly worth exploring. The area offers a wide variety of dive spots including wreck dives, wall dives and fantastic reef dives. Every level of diver and every preference is catered for, including critter-lovers, macro photographers and those who seek large pelagic encounters. 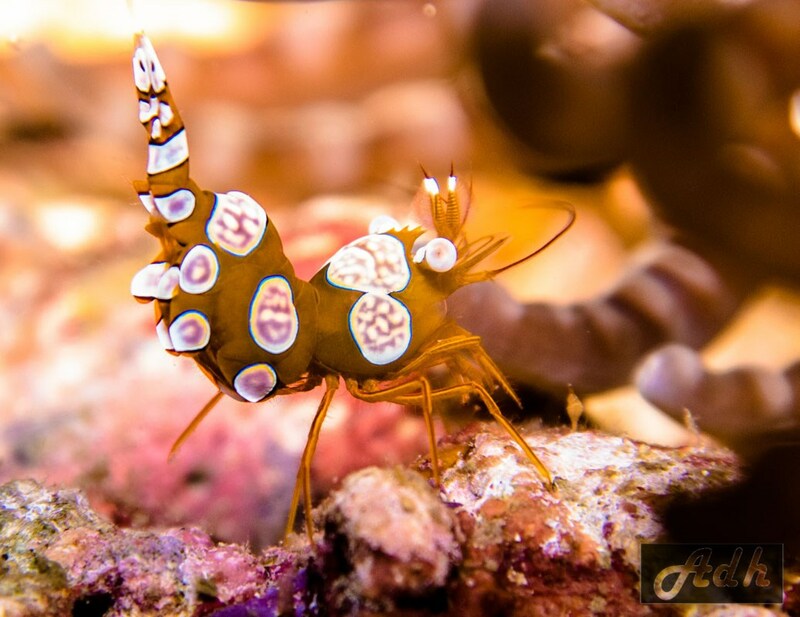 Critter enthusiasts should be on the lookout for the elusive blue ringed octopus, frogfish, nudibranchs, ghost pipefish and the vibrant flamboyant cuttlefish. Without a doubt the main highlight for many scuba divers who visit Malapascua is the presence of the beautiful thresher shark with its long, whip-like tail and impressive size. Thresher sharks are nocturnal, which is why sightings are usually so rare, however divers in Malapascua might be lucky enough to see these long-tailed beauties on a daily basis. The best site to see thresher sharks in Malapascua is at the sunken island of Monad Shoal. The island begins at depths of between 18-24 metres with a sudden drop off to much deeper waters somewhere in the region of 200 metres. During the day, the thresher sharks stay in the deep waters at Monad Shoal but then make their way up to the shallower waters just before dawn to visit the many cleaning stations at Monad Shoal. For this reason, diving at Monad Shoal can start as early as 5 am, with divers taking position to view the threshers arriving for their morning clean. The cleaning station is located at 30 metres and many divers opt for Nitrox to maximise their chances of seeing the thresher sharks. Due to the high popularity of this site, the dive centres in Malapascua have developed a rotating rota system with certain time slots allocated to dive groups. This innovative system has greatly reduced the number of divers at Monad Shoal at any one time, making it a better experience for all as the thresher shark sightings have increased and hundreds of divers are not trying to share this one location all at once. Thresher sharks are not the only interesting site to see at Monad Shoal, however. Divers will be treated to a variety of ray sightings including mantas, devil rays and eagle rays. Another hugely popular shark to see at Monad Shoal is the hammerhead shark, with its odd-shaped head and fearsome yet beautiful appearance. Schools of hammerheads are likely during the month of April, although divers might try their luck any time between December and April. Gato Island is a fantastic marine reserve and sea snake sanctuary that offers an array of memorable marine life. Sea snakes, squid, pygmy seahorses, cuttlefish, and frogfish are all available to see at this dive site that also features a great underwater tunnel. As if to keep the shark enthusiasts happy, Gato Island even offers sightings of white tip sharks and bamboo sharks. Needless to say, Gato Island is well-worth a visit when in Malapascua. 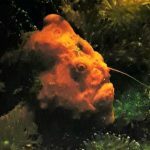 Lighthouse Reef is another dive spot worth visiting for unique creature sightings. Due to its relaxed atmosphere and pleasant, easy conditions, this site is well-suited for beginner divers as well as underwater photographers. For those divers who enjoy exploring underwater wrecks, don’t miss the Dona Marilyn wreck which is located 1.5 hours away by boat. This former passenger ferry sank during a typhoon in 1988 and offers 100m of great wreck to explore. Malapascua is also one of the few places in the world that offers sightings of the vibrant mandarin fish. The best time to spot this colourful fish is at sunset, when the mandarin fish can be seen performing their intricate mating dance. With thresher sharks, rays and mandarin fish all located at dive sites in Malapascua, this is one area to add to the top of your diving bucket list for sure! Due to its remote location, getting to Malapascua requires some effort, however, this stunning island promises to be well worth it. The easiest way to reach Malapascua is to catch a flight into the international airport located in Cebu City. From there, you’ll need to catch a taxi or local bus towards Maya in the north of Cebu. This journey takes roughly 4 hours. From Maya, catch a short 30 minute ferry to Malapascua and prepare to be amazed by the fantastic diving and stunning scenery on this small and unspoilt island. The ferries between Maya and Malapascua are quite regular and run until 4:30pm each day. Despite its tiny size, Malapascua offers a number of hotels, beach resorts and lodges to accommodate every budget and preference. Malapascua is definitely aimed at scuba diving enthusiasts as there is not much else to do on the tiny island aside from dive, sunbathe and enjoy the natural surroundings. Visitors might take advantage of an easily arranged day trip to Calanggaman Island, a tropical paradise with turquoise waters and white sandy beaches. This area is also known for its wall diving and whale shark sightings. Malapascua boasts year-round diving opportunities with warm water temperatures in the range of 25-30°C all throughout the year. Malapascua experiences a typical tropical climate with a rainy season from July to November, although the rainy season in Malapascua is mild when compared to other countries in Asia. In fact, most days in the rainy season are actually rain-free, or only experience a short rain shower between periods of bright sunshine. March, April and May are the country’s hottest months and are also the most popular for visitors, with the exception of December holidays when the island is bustling with visitors. Water temperatures are also at their highest in these months, reaching a balmy 30°C. Feeling inspired and raring to go? Check out our Malapascua travel guide and start planning your next diving trip! Deep Slope is an interesting reef with a miniwall covered with corals. My girlfriend and I are wanting to complete our dive masters in the Philippines. She has roughly 30 dives and I have 16. Do you have any availability from October 5th and what are the rates? Aside from the world famous Monad Shoal and daily thresher sightings, Malapascua has a huge variety of diving and I love some of its other gems such as chocolate island, lapus lapus and north wall. These sights have varied topography and always can hold surprises from frogfish, ornate ghost pipefish to cruising turtles and eagle rays. I am a PADI Rescue Diver and almost finished my DM when I lived in Hawaii. and Workshop 5 (Discover Local Diving in Open Water). Everything else is done and current (medical and EFR) I have the PADI hologram and approximately 120 dives. I’m aiming to be in the Philippines at the beginning of February and I’m gonna stay for a couple of weeks. Could you give me a quote of how much it would be to finish my Dive Master with you? Hi, I am currently a rescue diver with over 80 logged dives. I am looking to take my Divemaster course around mid-february, could you give me more information on your course like the duration, cost, and if there is work expected of Divemaster trainees? Thank you very much!